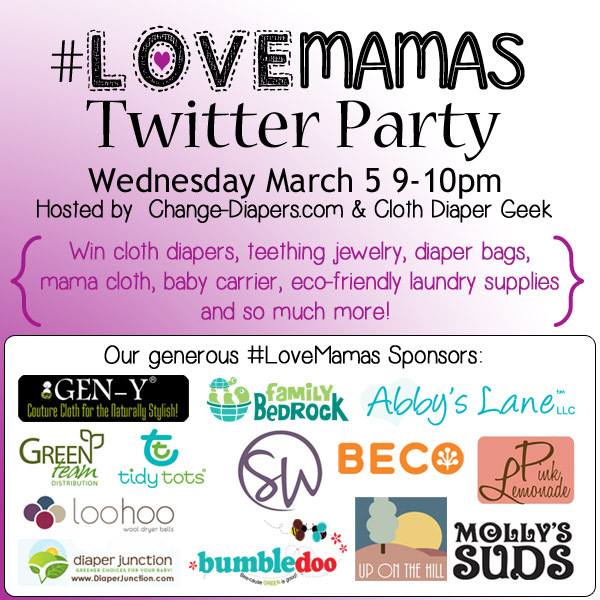 Green Team is happily sponsoring the #LoveMamas Twitter party, taking place this Wednesday March 5th, 2014 at 9 P.M. Eastern. Green Team is providing a Diva Cup & Diva Wash as a prize. Moms can spend an hour Wednesday night chatting with other moms, learning more about great products for moms, and getting tips & tricks on how to use them. Attendees will also be eligible to win Loo-Hoo wool dryer balls, Lunette Cup, Siliconies and many more wonderful prizes. RSVP to be eligible to win, then plan on chatting on Wednesday! 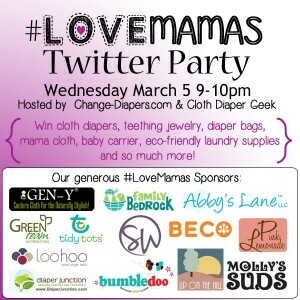 This entry was posted in Blog and tagged events, LoveMamas, twitter party. Bookmark the permalink.